The grain elevators of the Canadian prairies are at once iconic and nostalgic. 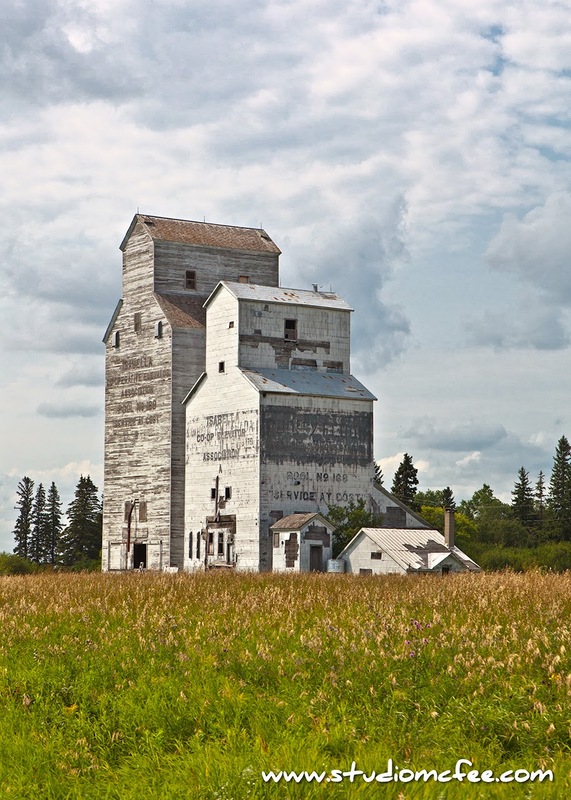 Iconic because nothing identifies the Prairies quicker than a grain elevator; nostalgic because these structures are rapidly disappearing from the landscape as newer technologies replace the old and as agri-business consolidates operations. The elevators depicted in this image were in Isabella, Manitoba (near the Saskatchewan border). The buildings have seen better days but still evoke an emotional response. When I showed this image to my wife, tears came to her eyes. I'm not sure she's ever been to Isabella but the image of grain elevators had an impact. She grew up in a Manitoba town. I have had similar responses to landmarks from my southern Ontario childhood. Photography is a process of learning to see. This undoubtedly applies not only to photography but to the making of visual art in general. As this process continues I am surprised by what I see, by where I find beauty and meaning. I trust this process will continue. Another image of the Canadian Prairies can be found here.